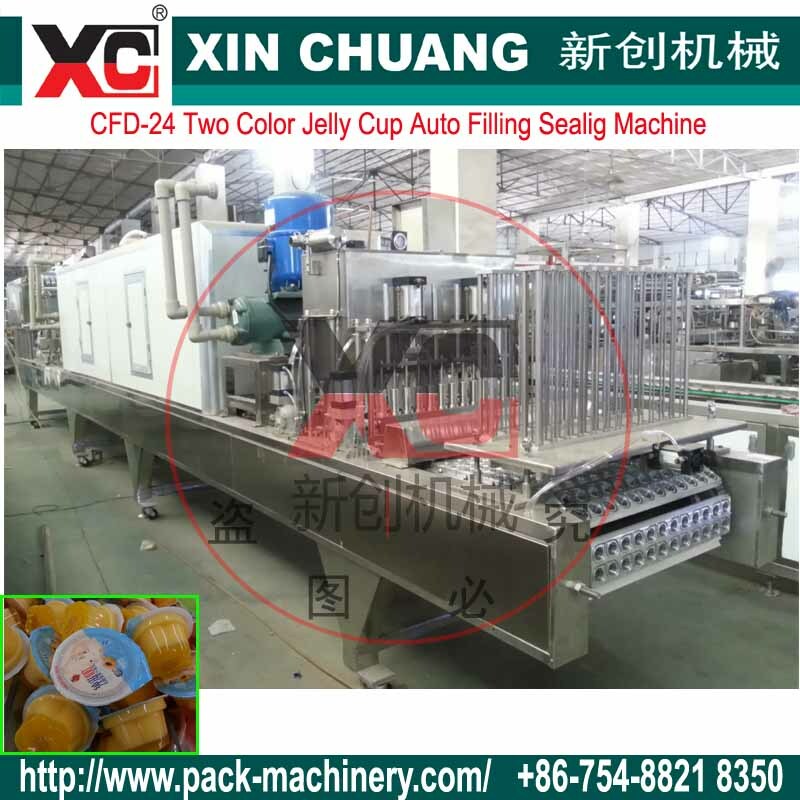 * specially design for two color jelly cup filling and sealing . 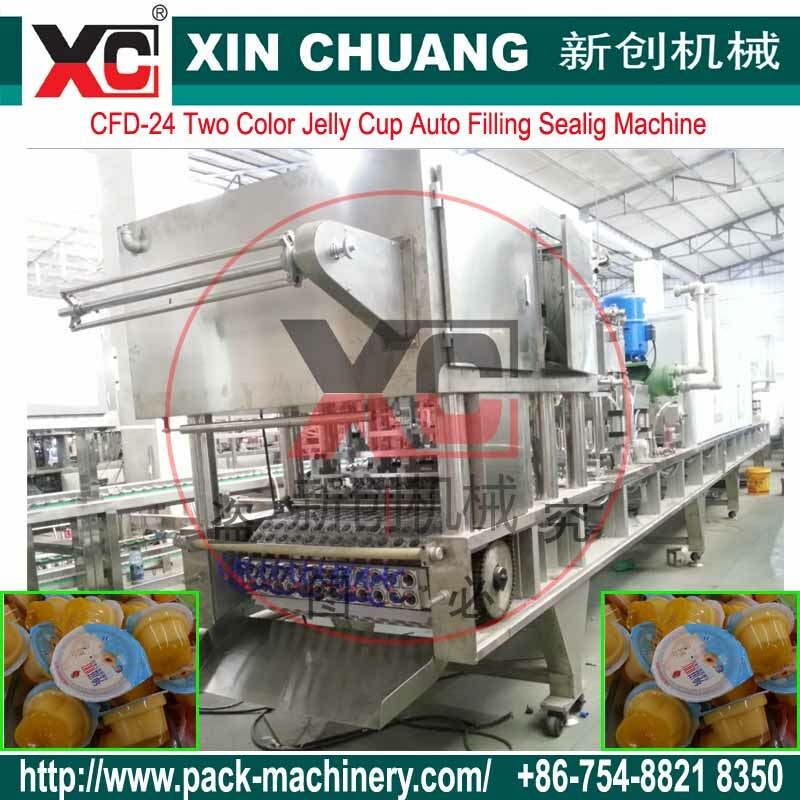 * 2 times piston control filling device to sure filling quantities accurately. * Adopt imported refrigerating system. *Two-step sealing make sure the film firm, and have a high percent of finished product. 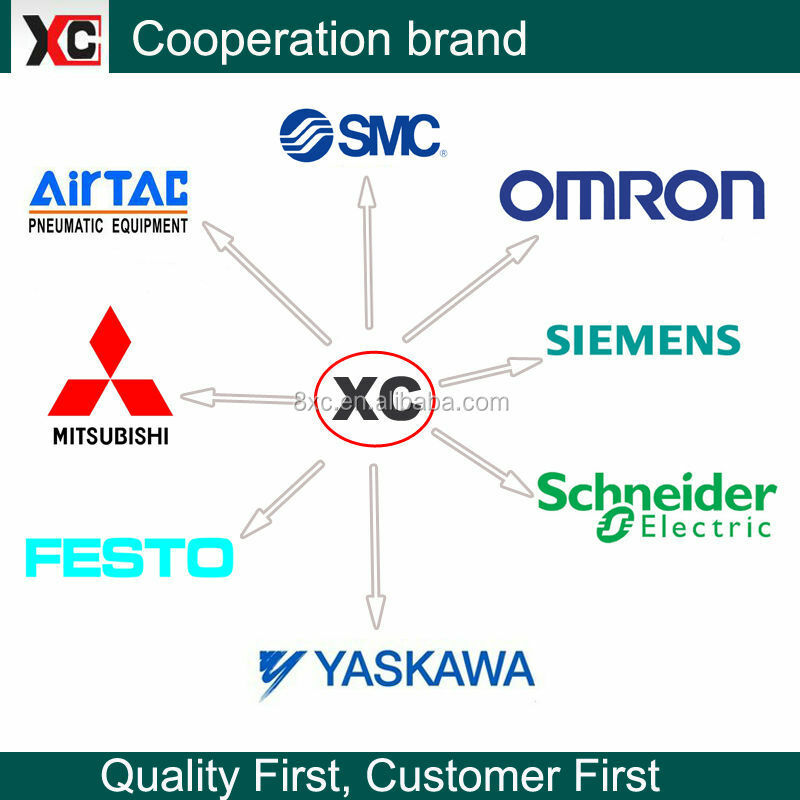 * The photocell device can be assure of the seal design correct. 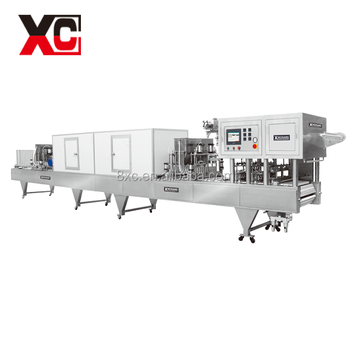 Auto cutting unit. *Waste film can be collected automatically. 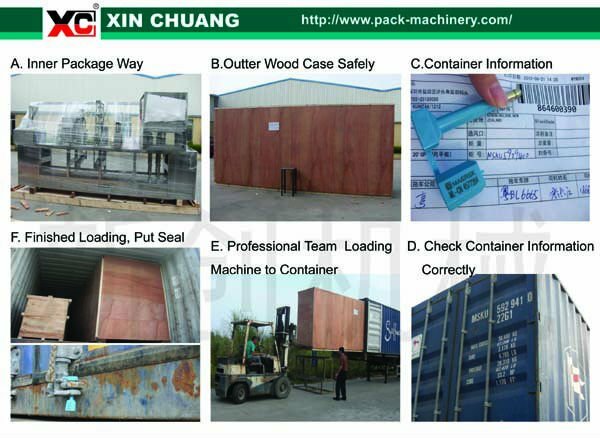 Suitable containers: Plastic and paper cup, bowl, box. 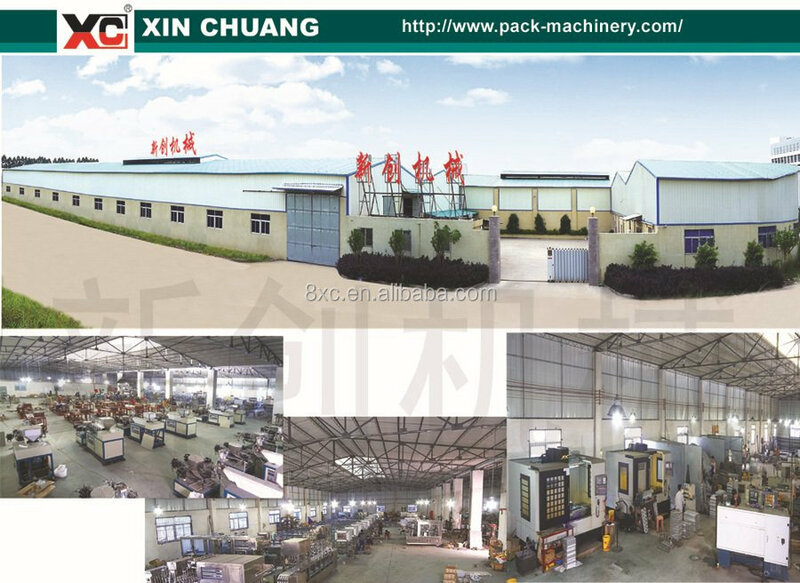 Suitable packing materials: Nylon film/metalized film/Alumium film.